Google Fusion 360, and you will find blogs, tutorials, videos, forums, channels, hashtags, etc. Clearly people know of the product, its Facebook page has over half a million likes. Normally Fusion 360 can be had for $300 a year ($25 a month if paying yearly), however on Black Friday, you will be able to get a year of Fusion 360 for $25, or just over $2.00 a month. What I wanted to do was give some different or uncommon uses for Fusion 360. Some out of the box ideas showing it is the best value out there in what it does. So with special thanks to Lars for some input and without further adieu, my unconventional reasons you should get Fusion 360 on Black Friday. What unconventional use might you have for a CAD product that on Black Friday costs just over $2.00 a month? Comment below. Seriously, where else do you see all this functionality also available for a Mac? You are not limited to how many computers you access it from. It works from your Autodesk account. What other software allows you to install on multiple computers? Use the free Fusion app on your tablet or phone to view parts and take notes on the run. Fusion 360 is available with most popular direct interfaces. 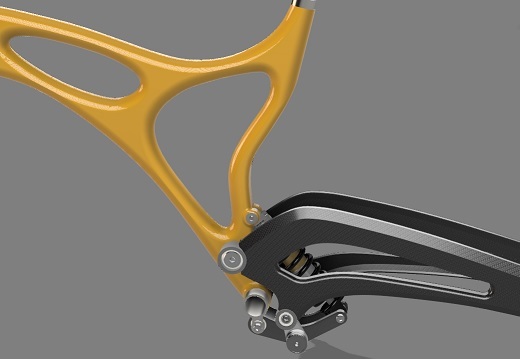 It can read in files like Catia, NX, and SOLIDWORKS. It can also output IGES or STEP files. Where other CAM systems charge hundreds or thousands of dollars for direct translators, plus yearly maintenance, you can get them for the price of a PowerBall ticket. 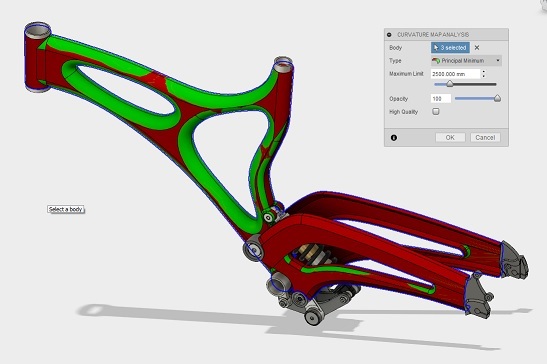 Fusion has analysis functions to help you not only design but also manufacture your model. Functions like curvature, draft, section, and zebra analysis. Color all the areas with a curvature less than X, to help you see what tooling is required for manufacturing. These analysis functions cost less than a fancy, or even non-fancy, coffee. Sometimes all you want to do is visualize a part so you can make accurate quotations. You may want to make some measurements, or analyze the part (see the analysis functions above), but you don't need a lot of CAD functionality. Fusion 360 lets you do all of that and more, and all for less than the price of a box of donut holes. Why pay more for a CAD viewer that does less? Most CAD CAM products don't even have nice rendering available. Those that do have it available charge a lot extra for it. Fusion 360 includes it. Visit the Gallery for a lot of cool renderings. Realistic renderings for less than colored pencils to shade your own drawings. Animate how your model comes together or moves about. Check for interference between components. Apply forces, and see what happens. All for less than the cost of having an intern make a prototype out of cardboard. Fusion 360 includes 3D Printing functions as well as CAM milling functions. You can connect directly to various manufacturers to get quotes for your designs. Place notes in projects and on parts to share with others for collaboration. If you are a school or student participating in battlebot competitions, then do not go out on Good Friday and spend $25 for a one year subscription to Fusion 360. Just go HERE today and download it, because it is FREE for students and educators. Seriously, you can design your bot, render it, animate it, simulate stresses on it, then manufacture it; all from the same program that is free for students and educators. This one is a real no-brainer. Fusion has a large community, active forums, and tons of support. 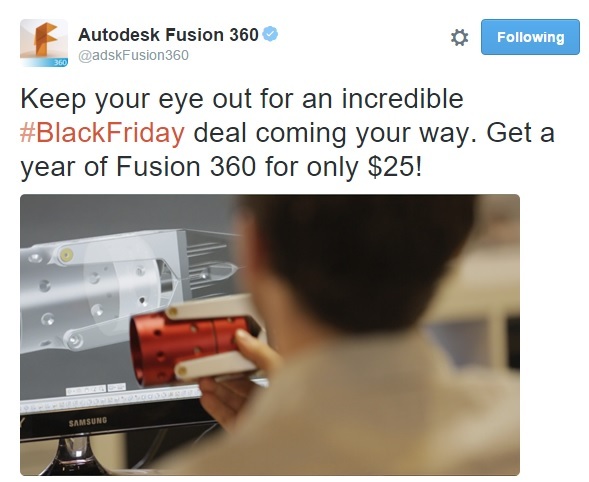 I'm actually going to a large Fusion 360 event during Autodesk University the first week of December, in Las Vegas. I am looking forward to it, and looking forward to meeting many Fusion 360 users. Some people love to take business trips, some people loathe them. Either way, fitting in some zen time can make the trip that much more enjoyable. That's what I am thinking about right now, as I have a business trip that occurs immediately after the Thanksgiving holiday. Autodesk University is the premier learning destination for Autodesk customers worldwide. It brings over 10,000 design, engineering, and manufacturing professionals together. This year there are a ton of Manufacturing track courses, seminars, and round tables one can participate in. With the combination of classes, exhibit halls, meetings, machines, and after hours activities everyone will be very busy. So busy, they may not take the time to fit a little fitness in. It's that little bit of fitness that can really center you and bring balance to all of the work and activities. First, you really don't need a fancy workout room nor do you need fancy equipment. One fitness item you can take with you and only weighs a couple ounces is a jump rope. That's right, if it's good enough for Rocky, it's good enough for you. Jumping rope can be used as a warm up, or you can do it fast enough to get out of the aerobic zone and into the intense zone. After that, all you need is your body. Many of these exercises can be done in your hotel room, or in the hotel gym. Below is a sample workout to counteract all of the fancy dinners, and can be done in under 30 minutes. When finished, you will be 26.5 minutes into your 30 minute workout. When finished, hit the showers and make sure to see all of the Advanced Manufacturing stuff at AU. If you are at AU, and want to do an early morning workout, look me up. Welcome to the inaugural post of CAD CAM Zen. Why am I making this blog and post today? Well, mostly because it snowed about 7 inches here in Michigan, the roads were icy, and it seemed like it would be more fun than chipping ice off of a windshield. Originally I was going to name this blog CAD CAM Fun, but decided since I am attempting to lead a balanced lifestyle, and for me CAD is a part of that balance, that CAD CAM Zen was a more fitting title. I'm going to save the personal history, CAD CAM experience, education, hardware, etc for another post. Today, it's about balancing out the drudgery of shoveling snow with something fun. In this case, since the internet loves cats, I made a 3D model of my daughters cat. Recently I saw this article: 123D Catch for the Masses which explained how to do a cat scan (pun intended). Rather than just share the fun on Facebook, I decided to have some fun and try it myself. Cats are very zen, leading a carefree life, until they need something from you that is. 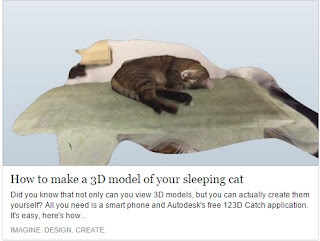 After installing the 123D Catch app on my phone, I fired it up and waited for the cat to fall asleep. Fortunately that doesn't take too long, as the cat sleeps approximately 98.3% of the time. From there, you need consistent lighting, without sharp shadows, to take thirty or more pictures of the object to scan. Don't worry about doing it perfectly, the app will help. Once you complete taking the pictures, the app automatically uploads them to the cloud. There, the cloud processors use the pictures, camera positions, colors and other magic to make a 3D model of your part. Using the cloud for the heavy lifting is way better than having your smart phone do all the work, mostly because your phone might catch fire if it tried to do all of those calculations on one battery charge. When finished, the cloud returns an .obj file, which is basically a triangulated mesh format with images for texture mapping. You can then use a computer product like MeshMixer to edit the file and output it as an .STL file, .VRML file, etc. Really, that's it, and you have a model you can 3D print, mill with CAM software, or just do a screenshot of and post to YouTube. At this point, you can load the data into other programs for smoothing and refining, but not today, there is still snow to shovel. Here is a picture of the cat, during the 1.7% of the time she is not sleeping, for comparison purposes. I'm not sure where this blog will go, I think the journey will be more enjoyable than the destination. Let me know what you think, and if you try 123D Catch, share something you have scanned.